Bunker certificates typically expire on February 20. The Danish Maritime Authority reminded shipowners on Thursday that it is time to apply for the renewal of their bunker certificates. The certificate concerns insurance cover regarding liability for bunker oil pollution damage. Danish ships with a gross tonnage (gt) of 1,000 or more must acquire the certificate, as should foreign vessels with a gross tonnage of 1,000 or more if they intend to call at a Danish port, a Danish place of loading or unloading, the Danish continental shelf area, or if they intend to operate permanently in Danish territorial waters. Ships subject to a requirement for a certificate are not permitted to operate without it. All bunker certificates - as well as Civil Liability for Oil Pollution Damage (CLC), Athens and Wreck Removal Convention (WRC) certificates - based on protection and indemnity (P&I) insurance typically expire on February 20, 2018. Some bunker, CLC, Athens and WRC certificates will expire on a date other than February 20, 2018; that typically applies to certificates issued on the basis of declarations on liability cover (Blue Cards) from insurance companies that are not members of the International Group of P&I Clubs. Shipowners with these Blue Cards have been urged to pay particular attention to the need to apply for fresh certificates in time as the Danish Maritime Authority normally needs to approve these companies on an annual basis. 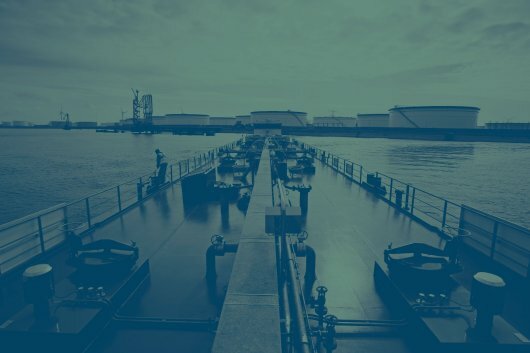 The Danish Maritime Authority accepts electronic Blue Cards from approved insurance companies and issues insurance certificates for Danish ships digitally. However, foreign ships can be issued only with paper certificates. Civil Liability for Oil Pollution Damage (CLC) certificates concern insurance cover for liability for oil pollution damage. Danish ships carrying more than 2,000 tonnes of resistant mineral oil with carbon hybrids in bulk as cargo must acquire the certificate. Foreign ships carrying more than 2,000 tonnes of oil in bulk as cargo also need a CLC certificate if they intend to call at a Danish port, a place of loading or unloading, or the Danish continental shelf area.